In support of BIR’s Global Recycling Day, BMRA is launching a ‘Support your local yard, support your local community’ campaign. In order to promote the message about metals recycling and the benefits to the environment, we would like member yards to identify a school or schools in their community to help raise funds for via a scrap metal collection. You and the school can choose to promote the collection to the local community as well. The metal collected would then be weighed in and the proceeds donated to the school. 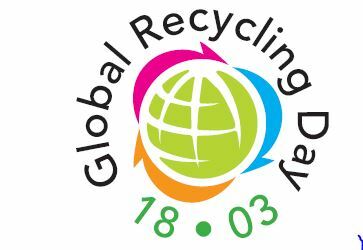 The BMRA will supply a PowerPoint presentation and quiz for the schools to deliver on Global Recycling Day itself. There will be a lot of social media activity leading up to and on the day, so you can get involved by sharing pictures. Please register your interest by emailing Kate. Are you a school or charity looking to find a metals recycling yard or scrap yard and woudl like to see how you can raise extra funds? Use our recycler directory to find a yard in your area Recycler Directory. What metal can be recycled in my house?